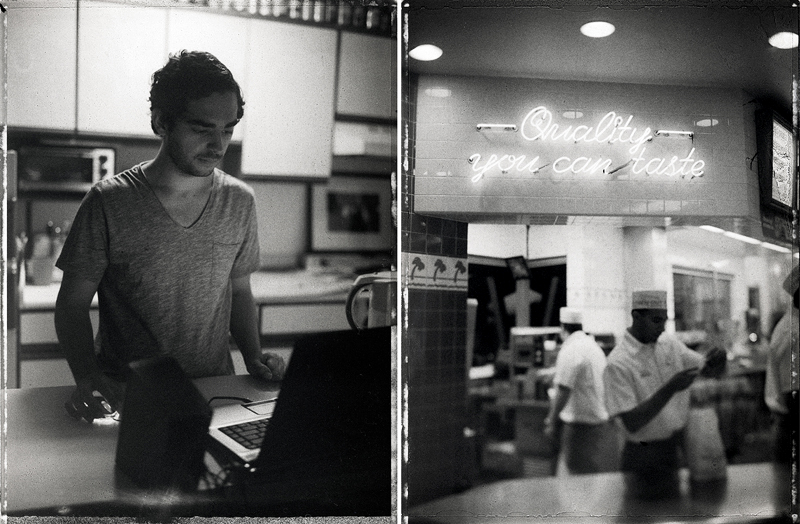 Twin Lens Life ~ Fine Art Film Photography ~ Los Angeles Southern California ~ Bwright Photography: 4X5 "Quality you can taste!" These were taken with Frankie (our Polaroid 110A Land Camera crossed with 3 other cameras to make hand serious holdable 4x5 camera). They are instant negatives from some expired Fuji FP-3000B45. For some reason this film needs to be rated at ISO 12000! The one on the right was taken while tilting the lens to a preset position and using the rangefinder to focus.